Singing music in another language provides another layer of difficulty to the learning process. There are so many aspects of language acquisition to consider, including cadence, pronunciation, and the many nuances of the language. As well, the text must be analyzed to ensure that choristers know what they’re singing about, and to communicate that effectively to the audience. Singing in a language other than your native tongue, forces choristers to look at the piece from a new perspective. Context is essential when you don’t inherently understand the words you’re singing. Different languages have different ways of describing details, they come with historical nuances, and correct pronunciation is crucial to ensure that the words are communicated effectively. 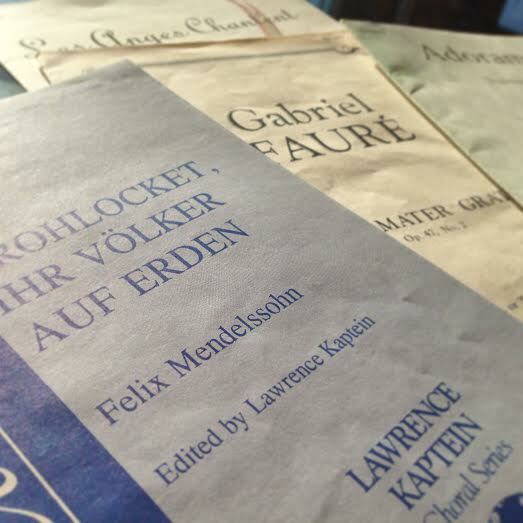 Learning music in another language demands that singers focus on new and challenging aspects of the piece, that they may not usually consider. Singing in other languages does not just provide learning opportunities in language. When we learn music in a different language, we encourage our choristers to explore a variety of aspects of the culture from which the language originate, including food, dance, religion, geography and other customs. This context is crucial in understanding the language in which we’re singing, but also understanding the historical significance of the music itself! What do you love about learning to sing in other languages? Tell us in the comments below!